Rule your Egyptian kingdom in this Plus Size Cleopatra Costume, and bring the Romans to their knees! Marc Antony won't stand a chance! 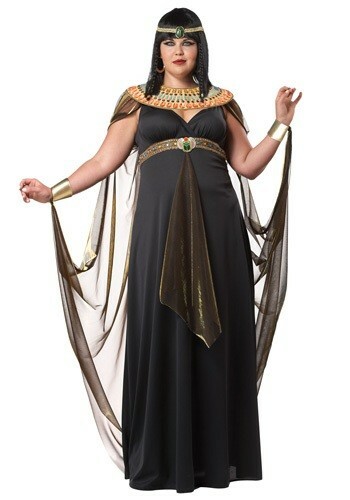 Reign supreme as the head of your Egyptian empire with this Plus Size Cleopatra Costume. Add golden sandals, a Cleopatra wig and Egyptian makeup. Pair with a Caesar or Marc Antony costume for a historic couples costume idea!